Earn $11.87 in Rewards credit (1187 points) What's This? 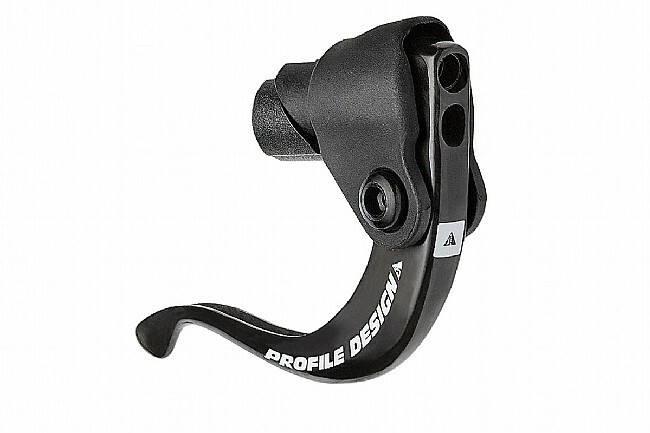 The Profile Design 3/One Aero Brake Lever set is designed specifically for aerodynamic performance with integrated brakes on today's tri bikes. Featuring an articulated single finger design for secure, responsive braking, the 3/One's cable pull has been optimized for a wide range of brakes. The Carbon version features a unidirectional carbon fiber brake lever mounted to an injected composite mount. Claimed weight: 110g per pair.